The picture shows a web browser that is open but blank in front of a blue background. It shows a browser without a URL in it and it just has a blue background with a "upload your image" text on it. 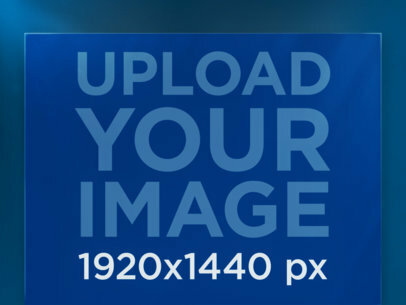 It also shows a 1200x900 px number on it as well. The background a light shade of blue. This is a mockup screenshot of a webpage in a Safari browser. 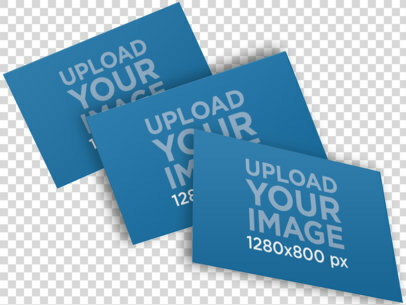 The background is dark blue, with a placeholder stating "Upload Your Image 1200x900px". A white Firefox browser with one tab opened. The browser has a blue background. There are red, yellow, and green buttons on the top left of the browser. 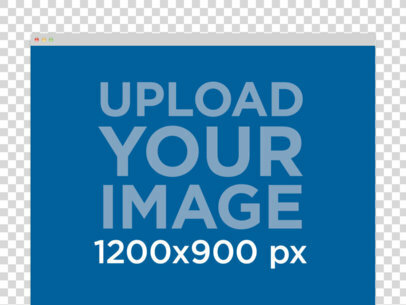 Your website would fit in the middle of a website browser mockup that holds an image of 1200 by 900 pixels. You can make this Placeit mockup all your own, just use the menu on the left to upload a screenshot or capture a URL screenshot. It's really simple. There is nothing better than a minimalist design. 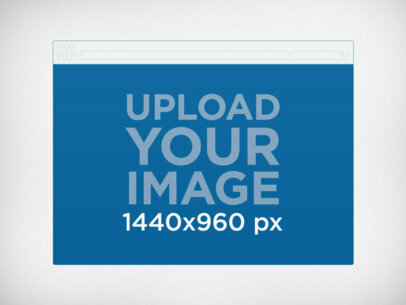 You can use this great wire frame illustration of a web browser to showcase your website. The browser will hold 1040 by 996 pixels and the background is an all white paper textured look. 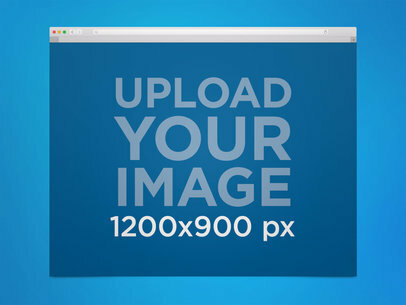 This simple backdrop will keep all focus on your website mockup with no clutter or anything else. 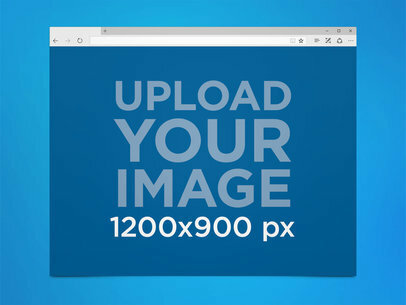 Great for minimalist projects or illustration based websites this safari like browser mockup can display images of 1200x900px. 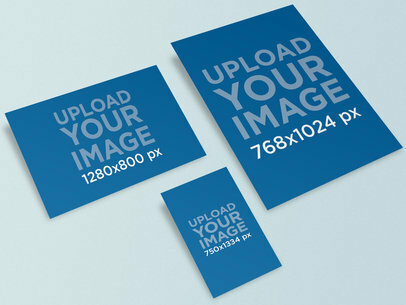 Set on a simple blue background giving a great non nonsense view for your website mockup. This will work great with any type of website. This browser mockup keeps your design simple and straightforward. Use this browser mockup to help you boost your business visual marketing strategy and stand out from your competitors. This browser mockup features a desktop browser over a solid background. Use this mockup to help you advertise or display pretty much anything you can think of and catch your consumers attention right away! 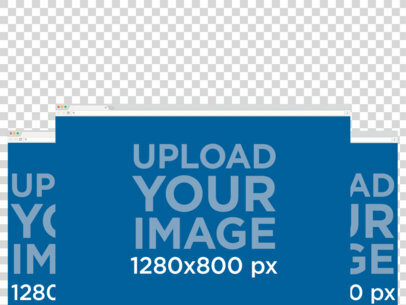 Customize this mockup and make it yours by simply uploading an image of your choice onto the template and see how the background color changes to adjust itself to the colors of your image. Pretty cool right? Create outstanding, attractive visual content within minutes, thanks to Placeit's marketing tools and forget about time-consuming, expensive and old-fashioned marketing campaigns that don't work the way you want them too. 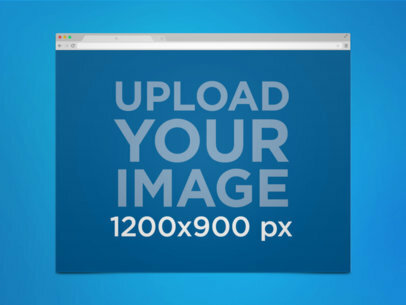 It's your time to shine, and thanks to photo mockups this won't be an issue anymore! See another Browser Mockup here!